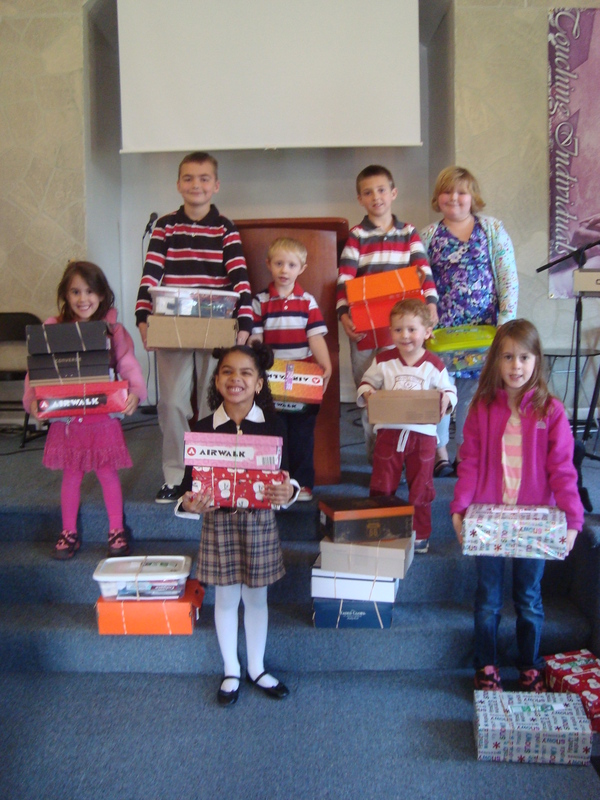 We collect filled shoe boxes to give to Operation Christmas Child every November. 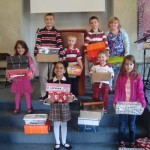 The children bring their offering each Sunday and we collect it for various charities. We recently finished our latest collection of coins to support The Wounded Warrior Project. www.woundedwarrior.org The children collected over 250.00! During the spring the children made blankets and put together a care package to send to children’s hospital. 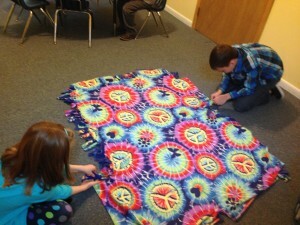 It included the blankets, toys and books for the children who are at the hospital. We support families in need with school supplies and Christmas gifts. The church gives food and donations to local food banks.